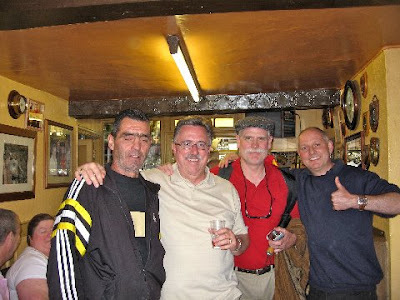 Regular Readers of the blog will have heard about the FF's and femmes trip to the Old Country..and seen the Pictures of us playing Pub games in a Pub called the Lamb and Fountain in the town of Frome in the county of Somerset. 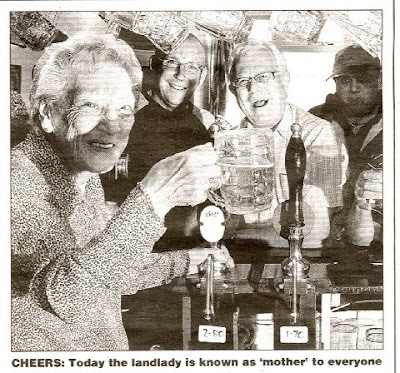 about some of the oldest and longest serving employees in the country, and amongst them was the landlady of the Lamb and Fountain; Freda Searle aka "Mother". 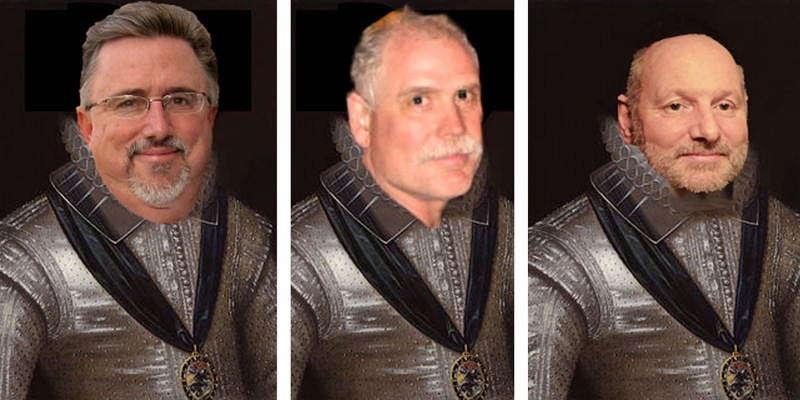 Before we had the pub, I worked in a hospital and my husband Harry was an engineer. My friend and I did bar work in the evenings too, getting paid £1 a night. The Lamb And Fountain was one of the pubs I worked in. When the landlord died, the brewery said to me: “You’re taking over!” I told them there was no way Harry and I could do that but they arranged for us to have an interview and appointed us in 1966. At the time you never saw a woman in a pub unless she was a prostitute there to pick up men. You never saw a child either. Pubs were for drinking not for eating. Who wants to go into a pub and see someone eating fish and chips at the bar? Not me. When Harry died I thought they’d throw me out because he was the landlord. So it was a surprise when the brewery said they wanted me to stay. But then they trebled my rent and I just couldn’t afford it. I went to see my solicitor who looked through all my accounts and told me: “Freda, you can do this. You can buy that pub and make a living from it!” Within two years I’d bought it. I’ve kept the Lamb And Fountain as a drinking pub. We’ve got stone floors, a shove ha’penny board, bar skittles and traditional separate bars. A lot of pubs have had their bars knocked into one now but I think that spoils them. You need the other bar as an escape if someone is boring you or if one person doesn’t get on with another. The bars caused us a problem once years ago when we had a funeral party in one and then a wedding party arrived without warning in the other and they all started singing. But pubs just aren’t the same any more and the atmosphere has gone from most of them because so many are managed, not privately owned. Once upon a time you had to put your name down to get a game of darts or shove ha’penny in a pub but all that’s gone now. There won’t be any pubs left in this country in 10 years’ time. A lot of managers don’t even talk to their customers. They just want their money. The smoking ban had a bad impact on us too. I lost seven regulars because they could no longer smoke here but I didn’t gain any new customers. 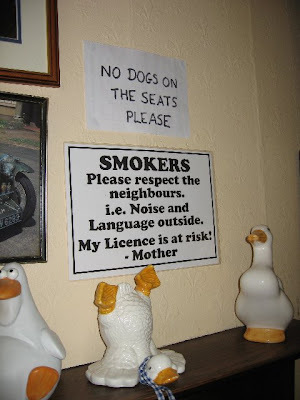 I think the Government should have given publicans a choice whether they operated a smoking or non-smoking pub. As for 24-hour drinking, we only open from 11 in the morning till 11 at night, I can’t be having late nights these days. I refuse to serve alcopops or to have a jukebox, that’s not what pubs are about. When I started out they were the hub of the community and that’s how I’ve tried to keep mine. Everyone around here knows me as “mother”, the local taxi drivers, the customers, even the regulars in their 80s. They all call me mother. I have no intention of retiring, I love the pub and my son John and my staff help me to look after it. 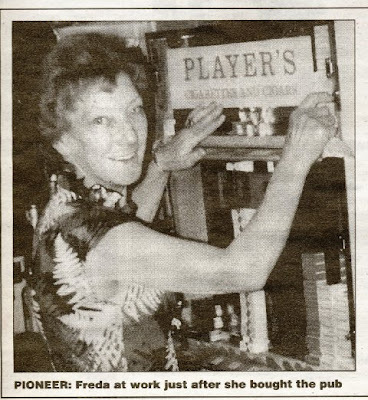 So I raise a toast tonight to Freda, from all in the KMSA...for presiding over a little slice of heaven, deep in the English countryside, Long may she be surrounded by friends and wellwishers.... and fresh glasses of fine English Ale. 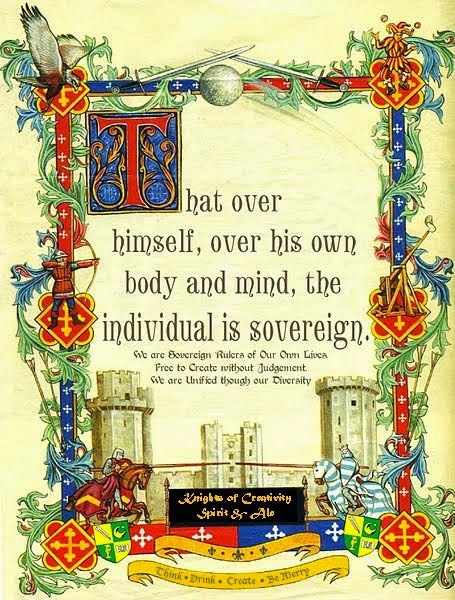 Sir Dayvd ( the rover ) of Oxfordshire. Yes, that was one of the greatest adventures on our entire trip -- stumbling on (in) The Lamb and Fountain. That's me (in the red) getting my arse handed to me -- and I loved every minute. The most famous of table-top skittles games is indisputably the game known as Devil Amongst the Tailors or Bar Skittles or Table Skittles or Indoor Skittles. 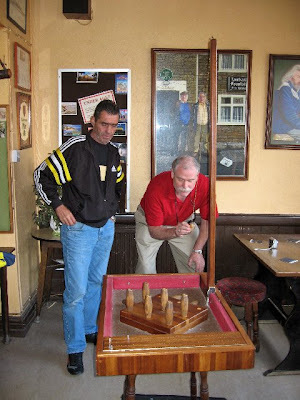 This distinctive game appeared in the 1700s and was cleverly miniaturised so that no throwing strip was required at all - the nine pins standing on a square table were knocked down by a ball which was swung around a pole, instead. In 1783, some theatre-goers and tailors rioted at the Theatre Royal, Haymarket over a play that the tailors thought insulting. The Dragoons were called in to stop the riot which they did in such an enthusiastic way that their method was compared to the wooden ball ploughing through Table skittles by the local press. After this incident Bar Skittles was often referred to as 'Devil amongst the Tailors'. Great Article! Great Comment...I like the Devil amongst Tailors....that would describe our day at the Lamb and Fountain perfectly. Where the REAL Wells' hang out! I'm sorry that we didn't get to meet Mother that day. I'm sending them their "Official KMSA Watering Hole" documents today, along with copies of this post and our pictures. Sir D...you're charged with making a journey there this Spring to document that our plague is hanging. In looking back at pictures from there I found where I took one of another sign hanging on the wall that says, "I'm somewhat of a Bullshitter myself, but occasionally I enjoy listening to an expert. Please carry on!"